Cembura, Al. Jim Beam Bottles. 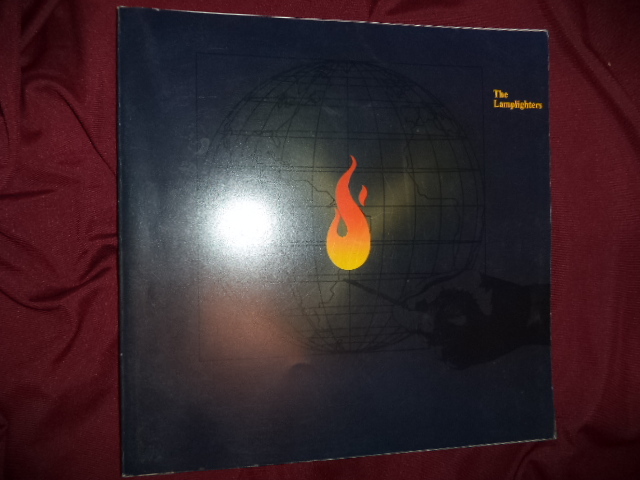 1973/74. Identification & Value Guide. San Francisco. Self published. 1973. Octavo. Hard cover. Seventh edition. Illustrated in color and black & white. Near fine copy (very light shelf wear). Cembura, Al. Jim Beam Bottles. Identification & Value Guide. San Francisco. Self published. 1976. 192 pps. Octavo. Soft cover. Seventh edition. Illustrated in color and black & white. Near fine copy (crease on front panel). Ceram, C.W. Gods, Graves, & Scholars. New York. Alfred A. Knopf. 1954. Octavo. Hardcover. Reprint. Illustrated. Fine copy in near fine (light shelf wear) dust jacket (in mylar). Ceram, C.W. Gods, Graves, & Scholars. The Story of Archaeology. New York. Alfred A. Knopf. 1962. Octavo. Hardcover. Reprint. Illustrated. Fine copy. Ceram, C.W. The Secret of the Hittites. The Discovery of an Ancient Empire. New York. Alfred A. Knopf. 1956. Octavo. Hard cover. First edition. Illustrated. Fine copy in fine dust jacket (in mylar). Ceram, C.W. The Secret of the Hittites. The Discovery of an Ancient Empire. New York. Dorset. 1990. Octavo. Hard cover. First edition thus. Illustrated. Fine copy (owner blind stamp) in fine dust jacket (in mylar). Ceran, C.W. The March of Archaeology. New York. Alfred A. Knopf. 1958. 4to. Hardcover. First edition. Illustrated in color and black & white. Fine copy in fine dust jacket (in mylar). Cerf, Bennett. At Random. The Reminiscences of Bennett Cerf. Photo available. New York. Random House. 1977. Octavo. Hard cover. First edition. Illustrated. Fine copy in near fine (small chips at spine bottom) dust jacket (in mylar). Cerwinske, Laura. The Book of the Rose. Photo available. London. Thames and Hudson. 1992. Octavo. Hard cover. First edition. Illustrated in black, white and color. Fine copy in fine dust jacket (in mylar). Cesarani, David. Becoming Eichmann: Rethinking the Life, Crimes, and Trail of a "Desk Murderer". np. Da Capo. 2004. 458 pps. Octavo. Hardcover. First edition. Fine copy in fine dust jacket. Chabad-Lubavitch. Chabad-Lubavitch. The Lamplighters. Photo available. Brooklyn. Merkos L'Inyonei Chinuch. 1988. 131 pps. 4to. Soft cover. First edition. Illustrated in black, white and color. Important reference work. Fine copy (owner inscription on end paper). Chafetz, Henry. Play the Devil. A History of Gambling in the United States from 1492 to 1955. New York. Clarkson N. Potter. 1960. Octavo. Hard cover. First edition. Illustrated. Near fine copy in fine dust jacket (in mylar). Chafetz, Henry. Play the Devil. 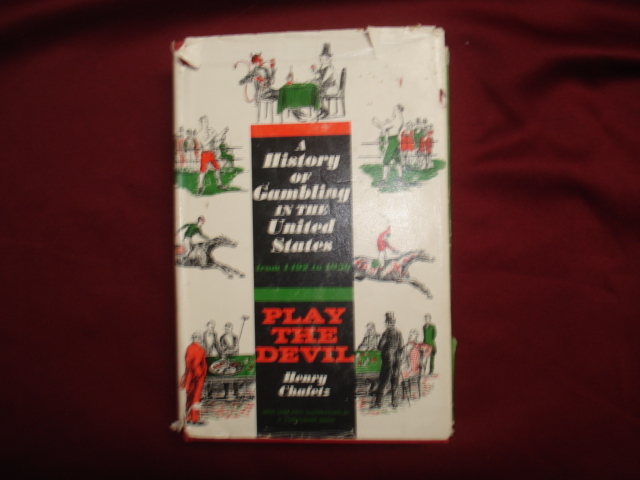 A History of Gambling in the United States from 1492 to 1955. Photo available. New York. Clarkson N. Potter. 1960. Octavo. Hard cover. First edition. Illustrated. Fine copy in edge chipped dust jacket (in mylar). Chalmers, Irena. The Great American Christmas Almanac. A Complete Compendium of Facts, Fancies, and Traditions. Photo available. New York. Viking Press. 1988. Octavo. Hard cover. Illustrated in black, white and color. Fine copy in fine dust jacket (in mylar). Chamber, Clarke A. The New Deal at Home and Abroad, 1929-1945. New York. Free Press. 1965. 273 pps. Octavo. Soft cover. First edition. Fine copy. Chamberlain, James (ed). The Romance of Greeting Cards. An Historical Account of the Origin, Evolution and Development of Christmas Cards, Valentines and Other Forms of Greeting Cards from the Earliest Days to the Present Time. Cambridge. Cambridge University Press. 1956. Octavo. Hard cover. First edition. Illustrated. Fine copy in very good (edge chipped) dust jacket (in mylar). Chamberlain, John. A Life with the Printed Word. Chicago. Regnery. 1982. Octavo. Hard cover. First edition. Fine copy (owner blind stamp) in fine dust jacket (in mylar). Chamberlain, Narcissa. The Flavor of Italy in Recipes and Pictures. New York. Hastings House. 1965. Octavo. Hard cover. First edition. Illustrated. Near fine copy (some offsetting to some pages where news articles were laid in) in fine dust jacket (in mylar). Chamberlin, E.R. The Sack of Rome. London. B.T. Batsford. 1979. Octavo. Hard cover. First edition. Illustrated. Fine copy (owner blind stamp, name) in fine dust jacket (in mylar). Chamberlin, Kathleen H. Marcy Mary. Signed by the author. 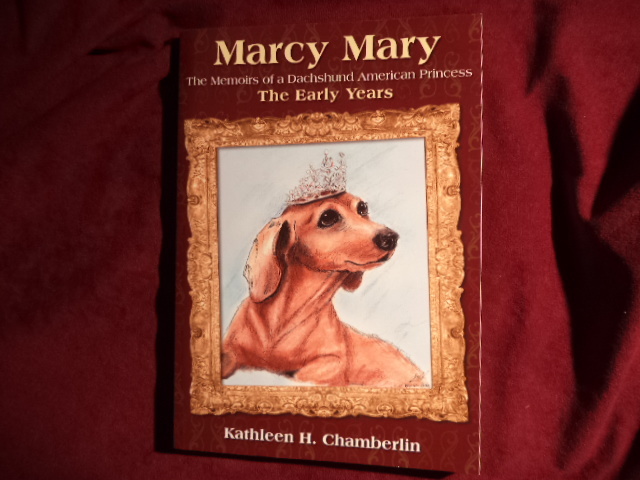 The Memoirs of a Dachshund American Princess. The Early Years. Photo available. Indianapolis. Dog Ear Publishing. 2009. 19 pps. Octavo. Soft cover. First edition. Signed by the author. Fine copy. Chambers, Paul. Jumbo. The Greatest Elephant in the World. Photo available. Hanover. Steerforth Press. 2008. Octavo. Gilt decorated hard cover. First American edition. Illustrated. Fine copy. Chamish, Barry (1952- ). Who Murdered Yitzhak Rabin? Cambridge. Brookline. 2000. 72 pps. Octavo. Soft cover. First edition. Fine copy. Chan, Stella. Stella Chan's Secrets. In the Art of Chinese Cooking. Santa Clara. Academic. Octavo. Soft cover. First edition. Illustrated in black, white and color. Fine copy. Chan, Sucheng. Asian Californians. San Francisco. MTL. 1991. 236 pps. Octavo. Soft cover. First edition. Very good copy. Light damp staining on last few pages.